It’s heating time again, and if you’re ready to install a new heating system, you might be wondering about available heating rebates and federal tax credits. Fox’s HVAC Team has a quick list for you to consider when making a purchase decision. 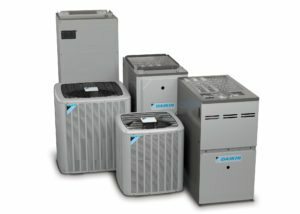 Why are there Utility Heating Rebates? Most of our utilities here in the Pacific Northwest are happy to pay customers to install energy-efficient equipment, whether it's light bulbs, toilets, or heating equipment. The amounts of rebates do change, so it’s important to ask your Fox HVAC Specialist for the latest rebate amounts, qualifications, and procedures. Fox is a qualified contractor with our local utilities for these rebate programs. What are the Main Heating Rebates Available? For information on other rebates such as those for appliances, windows, and lighting please visit your utility’s website. What are the Basic Qualifications that Apply to Most Rebates? These rebates are for single-family homes, townhouses or condos (in less than 4 units), that is a primary residence and not a rental property. There are other rebate programs for multi-family dwellings (over 4) and commercial properties. To qualify for a ductless heat pump rebate, you must be currently heating your home with electricity – either baseboard, wall unit or electric forced air furnace. Also, if you have a fireplace or wood stove, they will measure your electric use and determine if you qualify. PSE has additional qualifications for the furnace and other products. There have been federal energy efficiency tax credits for homeowners for the last decade, which can be claimed when you file your taxes. The credits for solar and wind are ongoing and can be found on the EnergyStar website. The credits for heating, cooling, ductless and water heater products are only enacted on a yearly basis. As of now, they have ended, but Congress typically passes a continuance of those credits in their annual tax update. We won’t find out until December or January. We will post that information as soon as it is available. 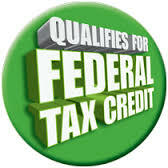 For more information about utility rebates and qualified products, talk to Fox! When you’re ready for the best, ‘Think Out of the Box… Talk to Fox!